You dream as a kid to find buried treasure, and for a couple in Staten Island, that dream became a reality. For years Matthew and Maria Emanuel thought a rusty metal box hidden behind some trees in their backyard was just part of a cable or electrical box, so they never bothered inspecting it. Matthew and his wife only discovered the “treasure chest” when they decided to replace the trees in their yard. 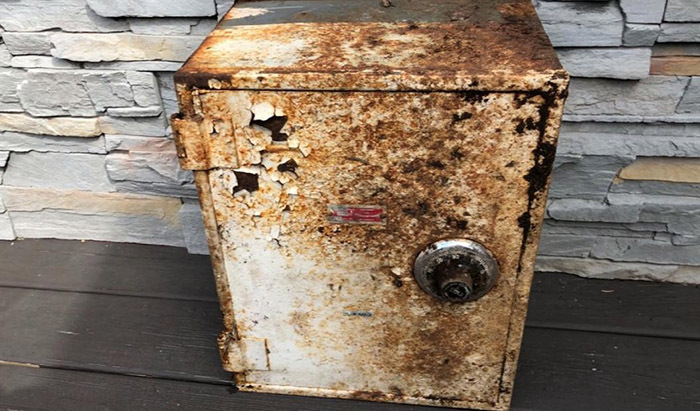 They called a crew to help them and that’s when the discovered it wasn’t an electrical box, but a rusting, peeling, weathered safe. 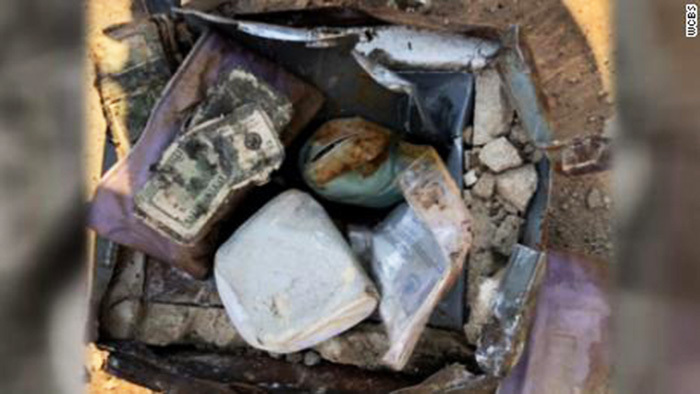 Inside the safe they found diamonds, engagement rings, gold and thousands of dollars in cash. But they found something even more interesting: a piece of paper with an address, an address that matched their neighbor’s. According to the New York Police Department, a burglary was reported at their neighbors’ home the day after Christmas in 2011. The only thing taken was a safe containing about $52,000 worth of property. The Emanuels returned the safe and its contents to its rightful owners, who were extremely grateful.